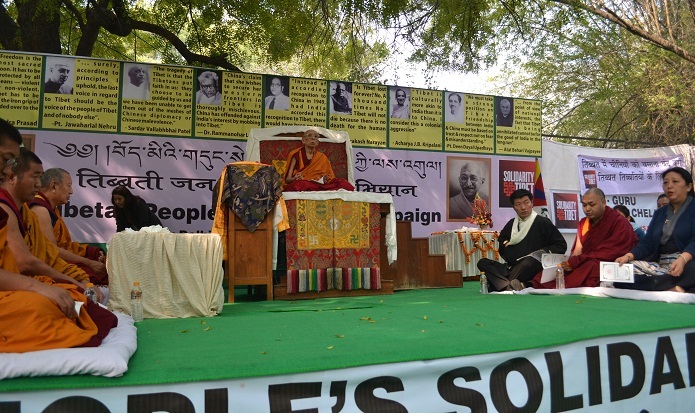 » Sit-in Mass Prayers and Daylong Fast by Tibetans at Jantar Mantar . February 01, 2013, New Delhi: The day-long prayer was led by His Eminence Gaden Tri Rinpoche, 102nd Throne-holder of the Gelugpa tradition of Tibetan Buddhism and the first of Indian origin. Also present were His Eminence Kirti Rinpoche, head lama of Kirti monasteries (where more than 30 self-immolations took place since 2009), and the Tibetan leadership, including, Sikyong, Speaker, Kalons and parliamentarians. 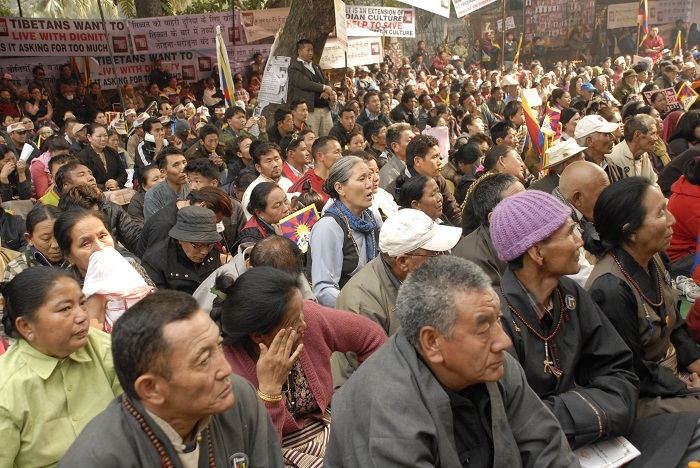 Over 6000 Tibetans took part in the public event, majority of them from monastic communities. Alongside the campaign, for the last 3 days ministers and members of Tibetan Parliament in Exile met with senior officers of the India based United Nations Human Rights Council and foreign diplomats from 20 countries. The delegation headed by Religion Kalon Pema Choejor, Health Kalon Tsering Wangchuk, Thupten Lungrik, former Kalon and current member of TPIE requested the representatives to urge China to a) allow unfettered access to Tibet for the media, the United Nations and International fact-finding delegations to investigate and report on the real causes behind self-immolations, b) allow governmental, parliamentary and diplomatic delegations to visit Tibet in order to ascertain ground realities in Tibet, c) review its failed hardline policies in Tibet and address the genuine grievances of the Tibetan people by resolving the issue of Tibet through dialogue. The diplomats assured support for the Tibetan issue and said that they will raise the dire issue of Tibet with their Chinese counterparts. 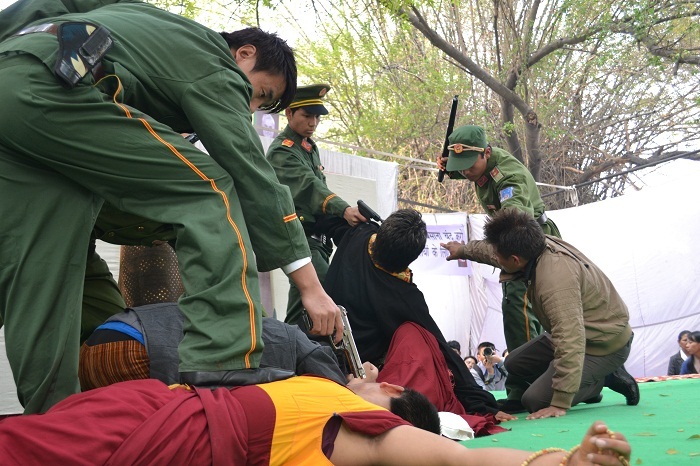 In the afternoon students from TCV Gopalpur staged a 30-minute skit depicting the current situation inside Tibet. This moving depiction of the prevalent dire conditions in Tibet: clampdown on peaceful expression of Tibetan identity, moved the audience to tears. 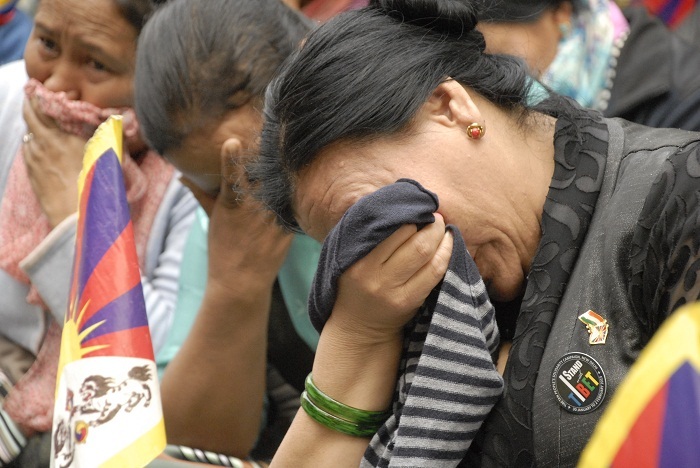 It may be noted that the 6000 Tibetans who have assembled in the ongoing campaign have come from as far as Ladakh, J&K, Sikkim, Arunachal Pradesh, Karnataka, Nepal, Bhutan and from certain pockets of Tibetan overseas communities. 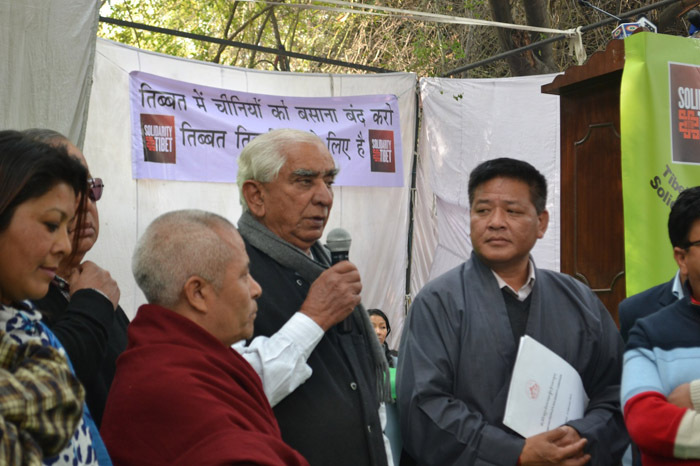 The gathering symbolizes solidarity of whole Tibetans across Indian subcontinent and the world. The participants have come voluntarily and on their own expenses. 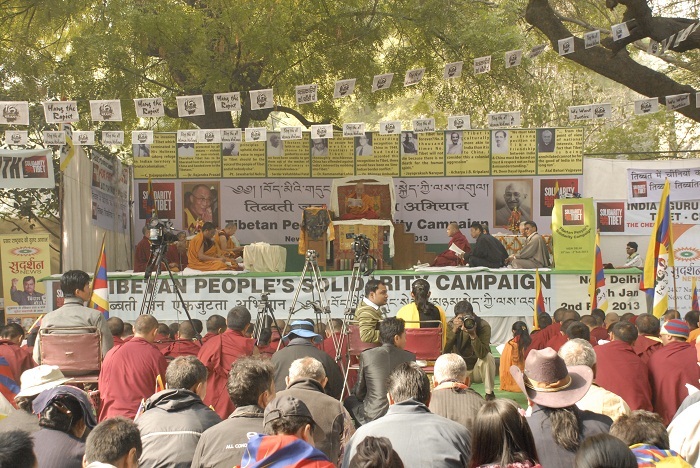 The 4-day Tibetan Solidarity Campaign (January 30 to February 2) will conclude tomorrow. Representing the ‘All-Party Indian Parliamentarians Forum for Tibet’, former Foreign Minister of India Honorable Yashwant Sinha will address the gathering. He will be joined by other Honorable members of the Parliament and eminent speakers from the civil society including- Shri Ram Jethmalani (MP), Shri Satyavart Chaurtvedi (MP), Shri Jayant Chaudhary (MP), Shri J.P Aggarwal (MP) and many others.